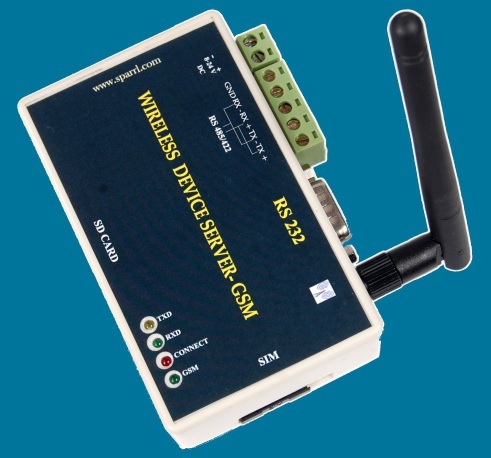 The Wireless Device Server – GSM enables you to connect Serial Devices to remote server over GSM / GPRS network quickly & easily. WDS – GSM simplifies GSM / GPRS Connectivity to devices in Applications where Mobility is required or Cabling is Impractical. Available as a Standalone Box Product for External connectivity. Enables any device to send SMS messages without having to learn and implement complicated AT command set.